Do you work for Indeed? Learning about Indeed? We can help. "Best place to see job postings"
I like to search jobs and apply jobs which are related to my technical skills in indeed. search for good resume structure in indeed as we get many resumes posted by employees working in various companies.specifically we can mention location in the search.Employers can post new job openings in this job site which can be very helpful for the job seekers. Overall this is a simple but very effective job site. I always suggest everyone to use this site and make use of it to the fullest. We can schedule email alerts on job recommendations that are matching to my profile. I don't many things to dislike about it as this is a simple and effective job site and very helpful in finding job openings. I like that I can share the account with other managers so that they can help me manage applications. I also like that Indeed makes it easy to organize applications by allowing us to mark which candidates we like the most, have spoken to, made offers to etc. Indeed also generates preset rejection letters which saves us on a lot of time. I like that we can contact candidates via email directly through the site as well. I also like that indeed sends me an email each time someone applies for a position. Being able to promote the job opening (by setting up a budget) also helps us get my applications in. Indeed also has representatives that monitor our accounts and each out to us to give tips on how to have better success using the website. They shoot me emails and give me calls from time to time. Their advice helps us reach our hiring goals faster. I dislike that it is optional for applicants to list their location. We sometimes receive applications from candidates that pass their assessment but end up not being locals. I also wished indeed made candidates verify their phone numbers, because some candidates add out of service numbers to the applications making it hard to get in contact with them. Boost the job position by setting up a budget. It makes a huge difference. Employee turnover. With Indeed's assessment feature, we are able to focus on more qualified candidates. Indeed also sorts applications by the candidates availability. This helps us focus on candidates that offer what we need the most. I like how easy it is for me to navigate the app. It's very easy for me to see reviews from past employees to get a snapshot of the culture and the ease with which I can apply for jobs quickly once I have input my resume. I also like how I have the option to write a fresh cover letter for each application or not and the suggestions. I dislike how jobs that do not show their pay rate up front are still allowed to be posted. The indeed app helps me grow as a professional by helping me track trends like job type, availability, location tendencies, average pay rates, and what jobs to look out for for me to "graduate" to and keep progress as well as momentum in my career. "Indeed - a great place to see job postings"
"Fantastic solution for few annual job postings"
- No keyword searching except on candidate name. No ability to isolate candidates based on explicit experience. - We used to be able to enter candidates that came from sources other than Indeed. That's no longer a feature and it was useful. - Inability to turn a job back on and have it re-appear in a recent search OR inability to copy a job. If you're a larger company with more job postings, you'll likely need something more robust. If you don't have high turnover or more than 5 job postings in a year, this solution is hard to beat. "Hiring the best candidates possible at no expense"
I like how there is no cost to post a job listing on indeed. This makes hiring new talent easy. You are able to post a job listing and get qualified applicants to submit their application. They also provide filtering for resumes to get the the best qualified. I dislike how you have to post multiple time throughout the week to keep getting fresh candidates. Once you're job listing gets a few days old, it'll be hard to find it in major cities. If you are considering hiring new people to join your team, using indeed doesn't cost anything, unless you want to advertise your job listing. As it is one of the widely used sites you'll find enough talent to fulfill your needs. With Indeed we are able to find new talent without having to spend money to pre-qualify or market our job listings, as indeed does it all for us. If you think recruiting is a numbers game indeed is that the right place to travel. i might get one hundred applications in one day future} using indeed and whereas not each candidate was qualified there have been forever diamonds in the rough. I do like the style of the page. It’s sensible however uninteresting. Sites like LinkedIn are a lot of fancy, and extremely enjoy using that product. Email notification can get annoying typically, people who are not sensible match, however you cannot flip it off as a result of you don't want to miss out something. Ought to have additional choices in customizing data received from Email Notifications. Post all details. The additional details in your verbal description, the higher the algorithmic program works and you get sensible candidates. The ability to quickly and simply realize new hires and to organizing and manage the method with efficiency.We are able to get enough candidates that we can hire to fill our ever growing client base at our organization. "Indeed works well for our business needs"
Very simple and straight forward on how to post a job listing. Customer support is responsive when you use the chat feature for issues. Sometimes it takes some time to figure out how to complete certain tasks such as deleting messages from the inbox. Or also there was an issue in the auto responses template in that it sent the same person's name to all applicants which wasn't apparent when I created the template so I didn't see that mistake clearly before sending the response to people. We realized that a ton of people use Indeed! We also realized that some applicants for some job postings may not use the email feature of Indeed as much as others so I have to be diligent in following up with them rather than sending out the Indeed email. "It can INDEED be Helpful"
This tool put the word out there that we are hiring and connects us to people who we otherwise would not have been able to connect with. They email me ALL the time. It's completely oppressive. They constantly want you to spend a lot to promote your listing. Overall their marketing is very annoying. Also a lot of the applicants are beyond sketchy. And then they match you with people who don't fit what you are looking for at all. Be very clear with your applicants about what you are looking for. Require resumes and make them answer supplimental questions to try and weed out some of the weaker applicants. We have conducted a few interviews and even hired one or two people from indeed. You just have to comb through a lot of unqualified and extremely unprofessional applicants. "The best mass recruiting system available!" Whenever someone is looking for a job, the first place the majority are going firs is indeed.com. I advertise every job opportunity we have on indeed. The system is so easy to manage, within just couple clicks you can publish a job add, see all the previous that were published, see all your candidate, your carreer page and everything else you need. Well it is kind of the victim of it's own success, there is so many job opportunity on indeed now that if you don't chosse the pay options your job add will be so far in the list nobody is going to see it. The only other thing I would add, is an applicant managing system. Something customable, something that allows you to set your usual different steps before hiring someone and where you could place your different candidate within each job to easily see how many you have in interviews, or pending review or waiting for a return after an offer, etc. The customer service is good, they are available, my account manager do an amazing job with me. "Great for Hiring and Onboarding"
What I like best about Indeed is the ease of creating a job. You can set up the job with simple questions that Indeed provides to you, have certain requirements. What new about Indeed that we love is the option for an automated phone screen, as well as assessments. It takes out the need for numerous interviews for one position. The only thing I dislike about Indeed is the $5.00 minimum to sponsor a job posting. As a non-profit, we can't really justify spending $30.0 a week on just one post. Most of the time to avoid this cost, we only post one job at a time so we can use the free option. Like above, the interviewing and on-boarding process has certainly been a huge benefit for us. "Robust job posting and application tool"
Indeed is so easy to use, you can post jobs, collect applications and contact applicants all through their online tool. We have only done the free job postings and still get tons of applicants for our positions. There really isn't anything I dislike at this point. There is no risk to try it. I think you will be surprised by how easy it is to use and how good the results are! We are posting and advertising our open positions, collecting applications and contacting applicants to schedule interviews. "Indeedly not a good solution"
Indeed used to be an amazing platform from both a job seeker and job poster. I personally found many positions and landed some of my favorite jobs via indeed. Job posting I simple and often gets picked up by other platforms. We use Indeed in my current position and the quality of candidates has gone down due to spoof jobs being posted and spam callers has scared away good talent. It's an all in one solution for posting and getting replies. They do a good job of using filtering questions when we require someone with a degree or license. However, there are other solutions out there that are more affordable with better candidates. Industry specific websites have better quality. Indeed is require of job seekers. They keep you updated on latest job openings around you and globally. Several job openings on daily basics. "Key Job Search Site in Career Related Work"
I like that it's user friendly, usually yields pretty good search results, and is simple, yet aesthetically pleasing. It is easy to explain to students and alumni both, and has a large database of jobs. It is my go-to site when searching for a job for myself and for others. The only thing that I can think of is that it doesn't always yield super accurate results. There are some times when the jobs it compiles aren't exactly what we're looking for. But I think that's the nature of job search websites. I truly love Indeed and everything it has to offer. I work with students and alumni who are looking for available positions, so I do not use the functions on the site as someone who might be posting would. I use it from the front-end to search, so my experience is a bit different. But I utilize it in every appointment I have and it truly is the first resource we put in front of our students and alumni who are job searching. "Best Website for Job Search"
Indeed is incredibly easy to use, the platform is simple and user friendly. It's efficient and accurate for finding the exact job that you are looking for in a specific city. For a person seeking out a job Indeed is free and the best compared to its competitors. Uploading a resume directly into their system is a bonus too. The downfall is the immense amount of emails Indeed sends out. It can be frustrating at a times over-whelming. 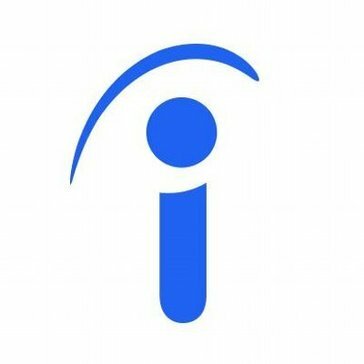 Indeed is an incredible resource for both employers and future employees. Indeed allows for my business to find young talent at no cost to us. It filters resumes and makes hiring an easy process. "Great site for getting candidates"
Indeed is a great tool to use if you are looking for candidates for positions. You can search key words and the site will pull up resumes that contain those key words. You can also directly email those people that you are looking for candidates to find if they would be a good match for your company. There are a lot of free aspects to Indeed but if you want the premium sponsorship, you do have to pay a price. I personally enjoy the free parts of Indeed and have found that I still get great candidates, regardless of how much I pay for the site. I have nothing else to add about Indeed. I think we are getting good candidates from their free search. Indeed is the #1 site that people go to when they are searching for jobs. They also have a mobile friendly app that allows people to use it on the go. They generally provide quality candidates for the positions we are wanting to fill. "Best for finding qualified employees, quickly"
The best part is that I can choose options to eliminate unqualified candidates automatically to save valuable time! The part I dislike is that sometimes candidates do not read through the requirements in the description, and apply anyway. Don't expect for every candidate that applies to be qualified, there are some who still do not read the requirement section. Solving lack of man power! Being able to have qualified candidates on board is great for business! Indeed is reliable. "Best Job Site for the Buck"
Indeed is very popular with job seekers so we receive more responses to our ads when we post on Indeed. The pricing model we use with them suits us the best and does not strain our recruiting budget. As with most recruiting efforts, we receive many responses from people who are completely non-qualified and never should have applied to the posting. According to the Indeed pricing model, there is still a fee for those applications. Start small by assigning limits to how much you wish to spend with them. Then, if satisfied with the responses, increase the budget and cost per unit parameters if you wish. If you are no satisfied, change the ad to better locate the candidates you are seeking. "Great way to recruit and hire new employees with many hiccups that bring the experience of using iit"
Indeed is such a well known and powerful tool to hire new employees, the name itself is synonymous with quality and is well known among many industries as a great recruiting tool. I used indeed many times to get jobs but as a recruiter I got to see how powerful it is and how far and wide it spreads to get many applications, I honestly couldn’t believe how many applications we got when we used it. With many applications and a tool that grabs the attention of many comes the cost of having applicants that do not meet the minimum requirements and also are accrues the world. Our ad clearly stated our position is a local only position and yet we had many applications from other sides of the world in different countries, indeed shouldn’t allow those people to apply. It also needs a more robust applicant filtering tool, not having more than a few screening questions really hurts indeeed and caused us to waste a lot of time reviewing resumes that werent qualified. Indeed is also more expensive than its competition and would benefit from a more consumer friendly pricing model. "Use indeed to hire "
I do not dislike anything about Indeed. I also don’t like the fact that it keeps sending me the same jobs day after day after I’ve already applied . Make sure that you make yourself a resume to submit . Hiring for jobs that need filled. Plenty of job offers come in every day doesn’t matter what state I’m in there’s always a great deal of jobs . I have used indeed when I was looking for job and currently use it for hiring people. Indeed really helps me with my recruitment, its resume DB feature helped me to connect with both passive and active candidates. One of the thing I like about Indeed is it is a free tool, and it keeps our job live for 90 days but yes since its free the traffic flow to those jobs will be lesser than a sponsored jobs. This year beginning they changed the Resume DB option to a paid subscription. And its expensive now. Indeed had helped me with all my recruitment needs. And I have made quality hires as well. "Indeed the best job searching software"
The best thing in indeed is there are more job offers than any other software. And the software have user friendly interface which attracts most people. The response of the company is very fast as we apply for the job. The thing I disliked in the software is that of I upload the Resume in document format then the text changes in other language,but when I upload Resume in PDF format it remains the same. Indeed provide benefits to the company as it helps to grow the company/business by providing best candidate/employee for the company. No problems, I've hired more good applicants through Indeed than bad. I love how easy indeed is to use from an employee and employer perspective. I cannot say there is anything I do not like about indeed. Indeed pretty much does all that you would need it to do. I recommend Indeed to anyone looking for employment or any company looking for employees. We are finding the right candidates for open positions with indeed. From start to finish, Indeed made the process simple and intuitive. We had two positions we were hiring for and several people who needed to review the applications. It was easy to keep the resumes separate and code the applicants so that someone could pick up where another had left off. We could also really easily track the applicants throughout the process. I really liked the ability to save email templates to make it faster to email people during the different stages of the interview process. I do not have anything to complain about with the process and with Indeed! We created one account and shared the login info with the people that needed access so that we could all work in the same spot. There is probably another way to do this, but it worked really well for our small staff to all see the same things. "Great Site to Hire Applicants in an Organized, Logical Way"
You cannot post jobs for free if you do not name your company, which is kind of annoying if you're trying to find a job replacement without hurting anyone's feelings. Lack of employees is an issue at times, and Indeed helps me to gain qualified applicants at a low cost and even send free assessments for them to complete! I dislike the fact that you can’t reach out to employers yourself, it would make this a lot easier! It helps businesses find and hire great people! Indeed is the Google of job searches. Not only have I personally been able to find and get linked to new career opportunities, I've equally posted my own positions (or had them bulled manually) to attract top talent. The ease of Indeed to "quick apply" I believe highly increases applicant traffic, and after getting setup with Indeed we absolutely saw more applicants coming in. Sometimes the vast reach of Indeed can attract and turnout a wide range of candidates. Specifically, candidates completely lacking experience, education, or other work authorization requirements. The quick apply is a blessing and a curse because it can allow anyone to apply in a single click, and there are absolutely serial applicants out there who will apply to everything. Some of the pay for clicks can be a little tricky to understand without proper training or working alongside a vendor rep. It's most important to ensure that Indeed service are compatible with your organizations applicant tracking system. This was the real deal maker in my organization's relationship with Indeed. Also, when having jobs posted be sure to adjust working titles to commonly used titles (i.e. Registered Nurse vs Clinical Nurse as my organization saw). As with all search engines common language and matching is key for seekers to locate your position, so abbreviated and less common language can backfire in how many views you get. It's easy to use, post, and evaluate applicants. I like it better than any other recruiting website. You tend to get people applying to help support their unemployment paychecks so there tends to be quite a few no shows to interviews. We are able to get enough applicants that we can hire to fill our ever growing client base at our organization. "Great for finding and posting jobs"
Ease of use, ease of finding candidates, cost effective, large customer base. Too many applicants allowed through for roles they aren't qualified for. Too many under qualified candidates asking for more than what they are worth. Cost effective doesnt mean the most effective hiring options but this will give you a great deal of local candidates in a short amount of time. Hiring competent long term employees into technical roles. We did end up finding the right employee for this specific most recent position through this listing. "Easy to use, not easy to get quality applications"
Indeed.com is easy to use. I was able to post a job online with all required and preferred qualifications. I was surprise to learn that we had to pay for our ad to be seen, and I did not like that we had to pay for its visibility. Ex: there was a specific cost for it to be seen x amount of times, and more expensive to see be seen more times than that. We are part of a relatively small industry for our area, so our visibility should have been greater based on search words. "Review of Indeed for finding job candidates"
The cost was by far the best feature! It is quite easy to use - uploading the resume was fast as was setting up the pre-screening questions. I was amazed at how quickly I started to receive resumes for both positions and I did find the quality of the resumes to be better than I initially expected. I didn't realize that so many people were using the program. I didn't want to reply to the candidates through the system so I contacted them via regular email. I found the email addresses that Indeed assigned to the candidates to be really long and difficult. I'm guessing that is intentional but for me it was cumbersome. If you are looking for a low cost way to reach a lot of potential candidates Indeed may be a good solution for you. "Great for hiring and applicant tracking"
Simple and user friendly. I like the assessments that I can pick for my applicants to take. We are solving our recruiting issues. Indeed gives us a great way to reach a lot of applicants at once and we receive about 50 applications a day. It has helped us with our turnover rate and assisted the HR department in finding qualified applicants to hire. "Gold Standard For Job Search"
After posting my information on Indeed, my inbox and phone have been ringing off the hook with relevant recruiters and opportunities that get better every day. Indeed has a lot of recruiters that seem to be reaching out in a scattershot fashion with canned emails and very low interaction until you're further along in the process. This can get very annoying as you may have to go back and forth answering questions about information that should be visible on your profile/resume before you even know what they're reaching out about. For job seekers: be ready to get a lot of opportunities. If you're actively searching, dedicate a few minutes per day to following up with recruiters that found you on Indeed and ensuring they get back to you. From my experience, it appears that a number of the recruiters on Indeed are likely contacting lots and lots of people for one opportunity. Recruiters that find me on LinkedIn or via Dribbble/Behance/etc. tend to have much more personal, high-touch approaches. Since it pulls job postings from across the web, including other job boards and career sites, it ends up being our # 1 source of applicants. Sponsoring jobs is a great way to increase the exposure and I highly recommend it. The 1-click apply feature makes it even easier for applicants to submit their resume and it parses in the ATS. When searching for a job, even if I type the exact title of a job I have posted, many times it is several pages down and the jobs above are barely related and don't even have the same title. Also, resumes that come through the 1-click apply often end up formatted incorrectly. Do it. It is the best source of applicants. Sponsoring jobs is highly recommended as it increases exposure by having your jobs at the top. "Best job search engine there is in the market"
Post all details. The more details in your job description, the better the algorithm works and you get good candidates. I got a job through Indeed. In my current organization, we use Indeed to regularly post job opportunities and get good quality talent from it. The platform is well know, and people can also access job listings through the Smart Phone app. The smart phone app looks a little dated. It doesn't look very user-friendly. Simple is great, but I wish there were more for the presentation and appearance of the app. If you are considering Indeed, it's a free, and easy to use software. We recommend! Posting jobs on Indeed allows us to find candidates that are best fit for our openings. They can see exactly what we're looking for before applying, which can "weed out" candidates whose job requirements we do not meet. Our goal is to provide a career opportunity and want to ensure that we also meet their needs. "Indeed is the Facebook for jobseekers." I got my current job through Indeed.com and my organization regularly fills vacant roles through Indeed. As an HR department of one, the ease of posting, pausing, updating, and managing an ad is a huge plus as well as the ability to use the system to track and log applicants. However the biggest benefit is the knowledge that, when hiring managers post to Indeed directly, resumes are being logged and tracked by the system as a default. We have had great success with Indeed in some markets and not as good of success in others. We are fairly new users of Indeed but have had relative success so far. The only caution is that the cost for sponsored postings can be deceptive as the clicks can quickly add up resulting in posting through Indeed exceeding the costs of posting via more traditional sources. "Great tool for job searches!" I love the layout and the ease of use while searching for jobs. Great tool helps you sort out what type of jobs, full or part time, what hours/days of week, and salary. Indeed emails frequently which I dislike. Indeed is a great tool to hires individuals looking to apply online! It’s a great tool for employers to post jobs and hire individuals looking to get hired and apply online easily with your indeed resume. I like how it is easy to find occupations in my area that suit my skills. I am easily able to find a business and do my best for them. I dislike how some jobs don’t have a “submit resume” option and you have to go through their website.